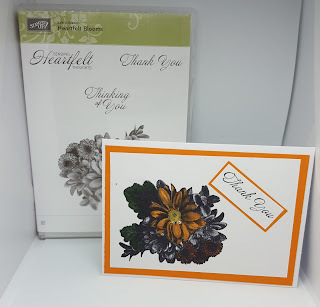 Chapter crafts: Heartfelt blooms stampin up! Hello and welcome back to Chapter Crafts. 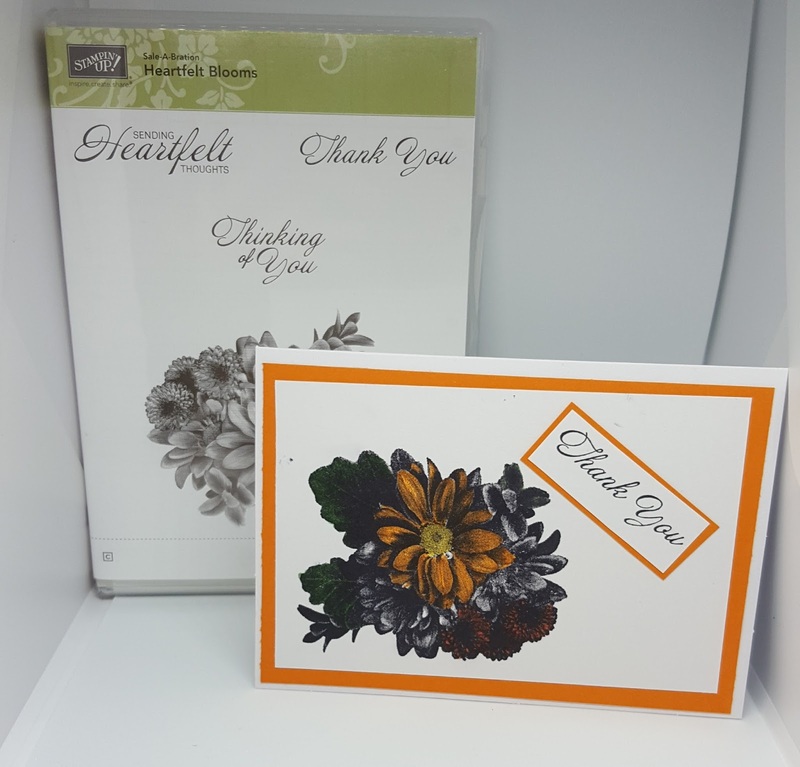 Good at I have a Thank you card using sale.a.bration Heartfelt blooms from Stampin up! This is a nice simple card to make. First you need a whisper white card stock cut to 8 1\4" x 5 3\4" scored @ 4 1\8"
Pumpkin pie card stock 3 7\8" x 5 5\8"
Whisper White card 3 1\2" x 5 1\4"
Basic black, pumpkin pie, garden green, daffodil delight and tangerine tango. Hope to see you all very soon.